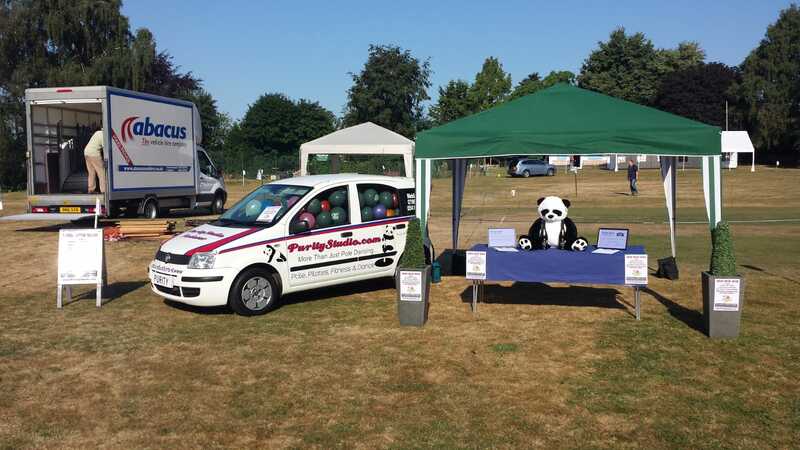 On Sunday 8th July Purity lent Zippy the Fiat Panda to Penton Fete. A competition was running all day to guess how many balloons were in Zippy. It was such a hot day I am surprised they didn’t all go pop! It came to a tie breaker question as 2 people guessed one a away from the winning total so it went to the tie break question for how long it took to blow up the balloons, Louise and her daughter were the closest! They won! The prize was a big Panda (not a Fiat one! 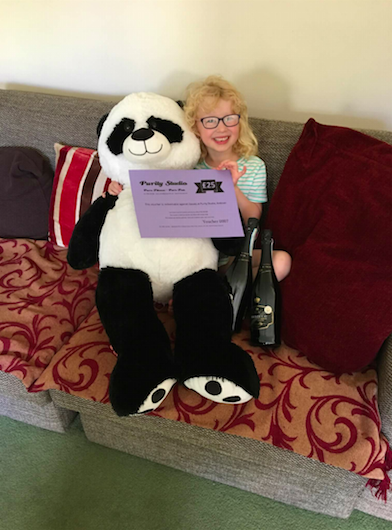 ), a voucher and 2 bottles of Prosseco, which Louise has informed me that ‘Snuggles’ the Panda has already downed a bottle! This entry was posted in Andover, Blog and tagged balloons in car, penton fete by Jolene. Bookmark the permalink.